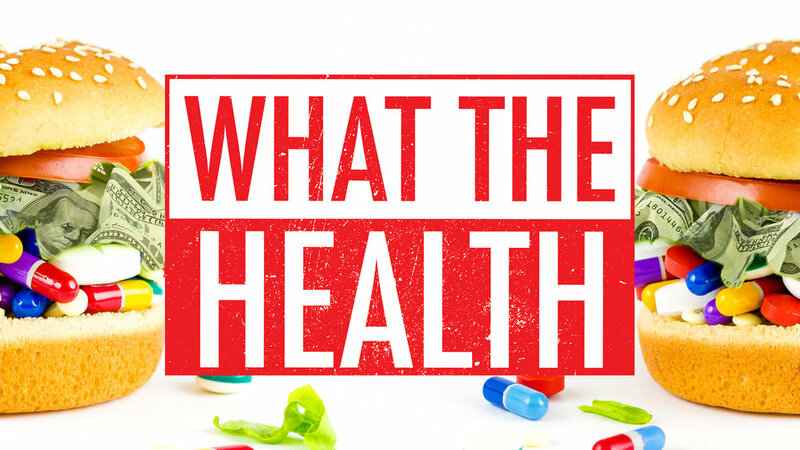 What The Health the film is a groundbreaking documentary that tells you what the health care industry, big pharma, and the American government does not want you to know! It details who supports and is in bed with the American Cancer Society, the American Diabetes Association, and the American Heart Association. According to the World Health Organization, processed meats like hot dogs, bacon, and sausage, are linked to an increase in cancer and classified as a class one carcinogenic (like cigarettes, asbestos, and plutonium). Two thirds of American adults are obese, one out of three have diabetes, and over fifty percent have heart disease. Our medical community is not trained to treat the cause of these health issues, OUR NUTRITION. They are trained and schooled to treat medical conditions with medications and surgeries. The whole low carbohydrate diet movement plain and simple is wrong. We simply don’t need protein from animal products in order to get enough protein in our diets. Sugar is NOT the issue and does not cause diabetes! We as humans can REVERSE adverse health problems by changing our diet to a whole food, plant based diet. This is documented and there are many doctors and nutrition experts interviewed in this documentary. This documentary is excellent and is a MUCH WATCH. There is also a paperback available. I am posting the link to the FREE documentary on YouTube (No Longer Available). There are also links to the paperback and the DVD on Amazon below. This documentary is now available on Netflix. As always, if you have any questions concerning this post or any of my content, please feel free to contact me directly. My partner and I absolutely love your blog and find most of your post’s to be just what I’m looking for. Would you offer guest writers to write content to suit your needs? I wouldn’t mind producing a post or elaborating on many of the subjects you write in relation to here. Again, awesome website! Thank you so much for sharing this. I checked out this film and it is incredibly eye opening! Spot on with this write-up. I’ll probably be back again to see more, thanks for the advice! A motivating discussion is worth comment. I do think that you ought to publish more about veganism and animal agriculture, people don’t discuss these subjects enough. This is a great documentary and we the people are being tricked by the government. Cheers!! Hello! I’ve been following your website for some time now and finally got the courage to go ahead and give you a shout out from Humble Texas! Just wanted to tell you keep up the good work! Keep up the fantastic work, I read few blog posts on this site and your site is interesting and has lots of great information. Thanks Ken, I try very heard to research the various topics completely and write accordingly in plain English. Hello, is this film only available on Netflix and do you know if it is available in other languages? My cousin shared this blog post with me on my Facebook account. It is really good. Thank you so much!! !